Enter your email address to subscribe to this blog and receive notifications of new articles by email when they are posted. (BPT) – The shower is a place to unwind from a stressful day, where you can forget your worries and pamper yourself. Remodeling the shower is extremely popular because it allows homeowners to create a spa-like experience in their own home, not to mention it’s a good investment and can increase resale value. Before you start your remodel, here are five ways to create a shower that will give you some well-deserved peace and quiet. If you’re gutting your bathroom, think about opening up the space to expand the size of your shower. Typically, showers are 36 inches wide by 36 inches deep; but now, luxury-style showers measure at least 48 inches by 96 inches. 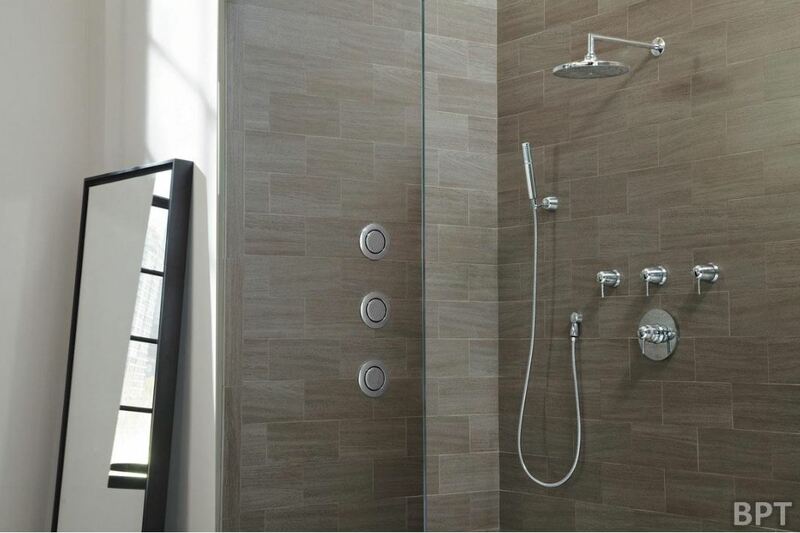 You can also create more shower space by selecting certain types of shower doors. Sliding glass doors can be a hassle to clean, as dirt can get into every little crevice. Hinged, glass doors, or if you have the space, a larger opening with no shower door at all, are better options for creating a modern, streamlined look. Do you have a small bathroom and don’t have room for a spacious shower? Not to worry – make the shower look bigger with lighting. Adding a skylight above the shower will make it feel larger in size and give a sense of being in a high-end resort. The materials you use on the door can also brighten things up. Choosing a glass door lets more light fill the space while showing off a fancy showerhead or tile. The glass can be frosted for added privacy. Showerheads come in a wide variety of styles to add the desired look – and functionality – to your bathroom. From rainshowers to traditional showerheads and body sprays, the combinations are almost endless. No matter what style or the number of sprays you choose, make sure to include a hand shower. It makes cleaning the shower a breeze, will help with washing the family pet, and gets all those hard to reach places during your daily shower. 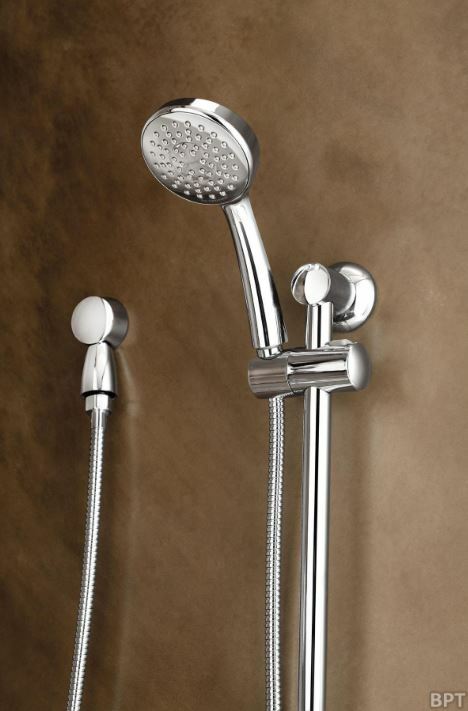 Moen now offers both multi- and single-function hand showers. The multi-function hand shower features four settings: a focused rinse, full spray, massage and combination full spray and massage. The new single-function hand shower is available with a slide bar, allowing everyone in your family to adjust it to the perfect height. Best of all, both use up to 20 percent less water than the industry standard 2.5 gallons-per-minute models. You can now install and use a hand shower as your primary showerhead, without a major remodel, thanks to Moen’s new, shower arm cradle. Instead of attaching a bracket to the wall, the shower arm cradle easily installs onto the existing shower arm. Shower benches and seats are becoming an essential component for rest and relaxation. It’s a great way to add a spa-like element to your shower but also provides extra safety for your family. You can build a bench into the shower or attach one that folds up against the wall. Different styles and materials are available in a variety of shapes and sizes. Teak is a popular choice in the shower as it withstands different temperatures, is resistant to bugs and humidity and is also easy to clean. Finally, build niches in the shower wall to fit all the bottles used on a daily basis. Creating several built-in areas will eliminate reaching for bottles on the shower floor and make it easier for the family to stay organized. Make sure the shelves slope toward the shower to keep the areas from getting moldy or full of soap scum. If you aren’t putting in new shower walls, you can also create more storage with a sturdy, corner shelf. Choose one with at least three shelves so Mom, Dad and the kids can each have their own shelf. With these few key upgrades, you’ll soon have the spa-like shower you’ve always desired. For more information about Moen products, visit moen.com. A century of doing business and working closely with builders, homeowners, home designers, and architects has taught us a few things that some of the newcomers to the business may not have had time to figure out. We've learned that providing you with unequalled service, excellent technical assistance (we have experienced design professionals on staff to answer your questions and help guide you through the complex process of creating a new home), reasonably priced customization and modifications, and the best home designs in the world make our already great prices even more of a value to you. Copyright © The Garlinghouse Company. All Rights Reserved.